This category is for brokers in Washington state who want to become a managing broker. It comprises the courses that the Department of Licensing requires in order to qualify for the managing broker’s exam. This category is not for current managing brokers who only need to complete the standard continuing education of 30 hours. In order to become a managing broker in Washington state you must have three years of full-time experience as an active broker or other qualifying experience. How long do I have to take the exam after completing the education? 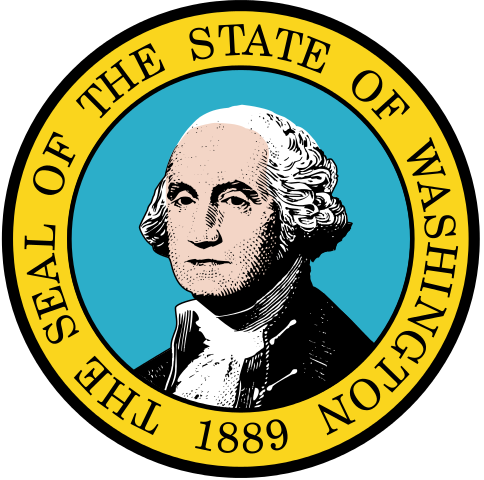 You must pass the Washington state exam within 3 years of completing the first course of your required 90 clock hours. What’s on the Washington state managing broker exam? The state managing broker exam is split into two parts. Part of the exam is meant to test your understanding of Washington state law, the second is designed to test your knowledge of national real estate concepts. Exams here in Washington are not in a multiple choice format. The test is given by Applied Measurement Professionals (AMP) and is in the format of a simulation. You are given a scenario and then asked a series of of information gathering questions and decision making questions. The idea is to evaluate the prospective managing brokers knowledge in real world scenarios. How long do I have to finish exam to become a managing broker? The exam is 3 hours and they will let you know how you did as soon as you finish. Yes, and you can retake it as many times as you want. Granted, retaking the exam many times would be expensive and time consuming, but, there isn’t currently a limit on the number of times you can take it. What if I fail one part of the exam (state or national)? If you pass one portion of the exam, you do not need to take that portion of the exam again. For example, if you pass the national part of the exam and fail the state portion, you can retake just the state portion. If you fail part of the exam, you must pass the other portion within 6 months. Your exam fees will be the same regardless if you are taking part of the exam or the entire exam. Can I use my education for my license renewal? No, broker’s are considered renewed when they submit all the fees and documentation required to the DOL. This can be done online through the DOL’s online portal, or by mailing the paperwork and check. If mailed, the date it’s postmarked is considered the renewal date. We don’t recommend you cut it close enough to worry, but it’s important to know the exact date in case of late renewal. Do I need to send proof of course completion to the state? No, but print out your certificates and maintain the records. The state randomly audits the records of brokers to verify compliance. Does Realestateschool.org keep my certificates in case I lose them? Absolutely. We will keep track of all of your education completed with us and you’re welcome to log in and print your certificates or call our office if you ever lose your copies. Is my education considered a write off? Most often, yes. Check with a tax professional regarding your specific situation to verify. What do I do if I took more hours than I needed? If you happen to have extra unused clock hours, you can use up to fifteen continuing education hours for your next renewal. The Washington DOL rules are that the hours must have been completed within 48 months (4 years) of the renewal they are being used for. Keep in mind, course hours cannot be split up, so, a student can’t use extra hours from a course which was already claimed for credit, even partial. Do in office training sessions count towards my renewal hours? They may. The course and instructor must be approved by the Washington Department of Licensing and be offered by an organization approved by the state. If not, then the hours will not count as continuing education clock hours.